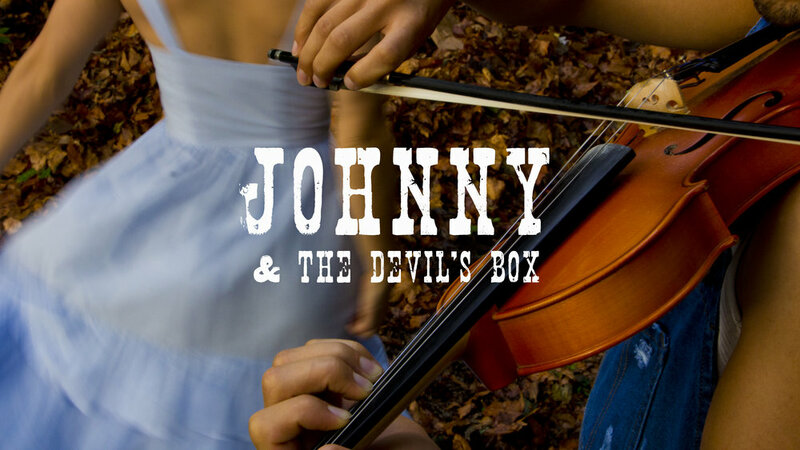 Johnny, a young fiddler from the mountains, must contend with the threat of the law, a death in the family, a fiddle contest and the loss of his true love on his way to becoming the greatest fiddle player the South has ever known. But how will he fare against the greatest threat of all, the Devil himself? Inspired by myths of fiddlers’ dealing with the Devil, the piece takes a hard look at the association between a virtuoso’s egotism and hellish temptation. 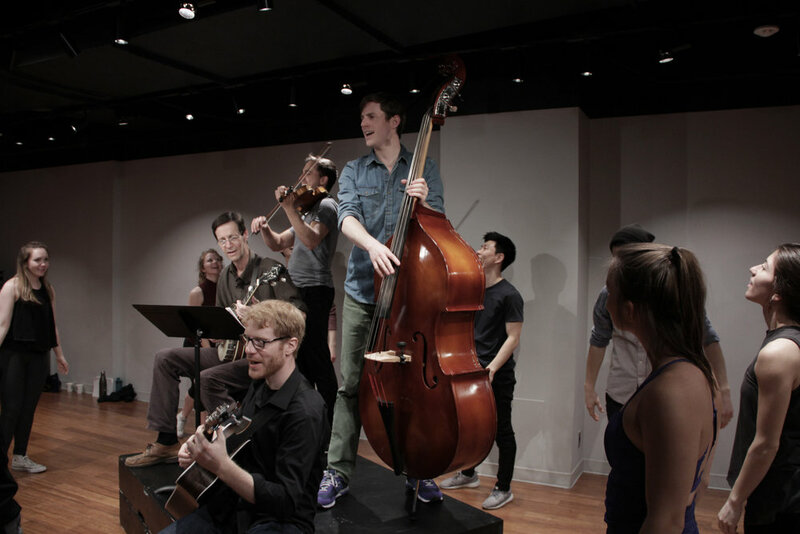 Told largely through American folk inspired music, the show is built to stir the audience’s urge to get up and dance. in Feb 2017 Douglas spent a week at the Goodspeed Opera House in CT developing the story and completeing a rough draft of the first act. Douglas Waterbury Tieman (Creator and Writer) is from Lexington, Ky. Douglas graduated from Belmont University in 2012 with a BM in musical theatre performance. 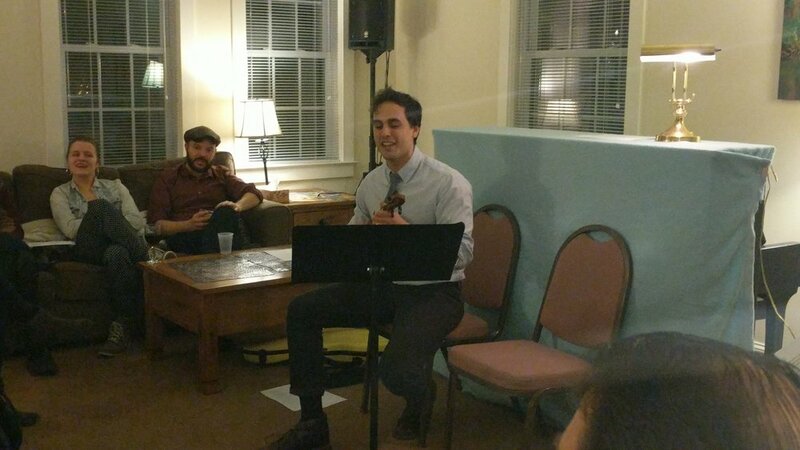 He is also a professional fiddle player and recently appeared in Roundabout’s THE ROBBER BRIDEGROOM. Other recent theatre credits include; A CHRISTMAS CAROL at Actor’s Theatre of Louisville, FIDDLER ON THE ROOF at Studio Tenn, LOST HIGHWAY and COTTON PATCH GOSPEL at Flat Rock Playhouse. 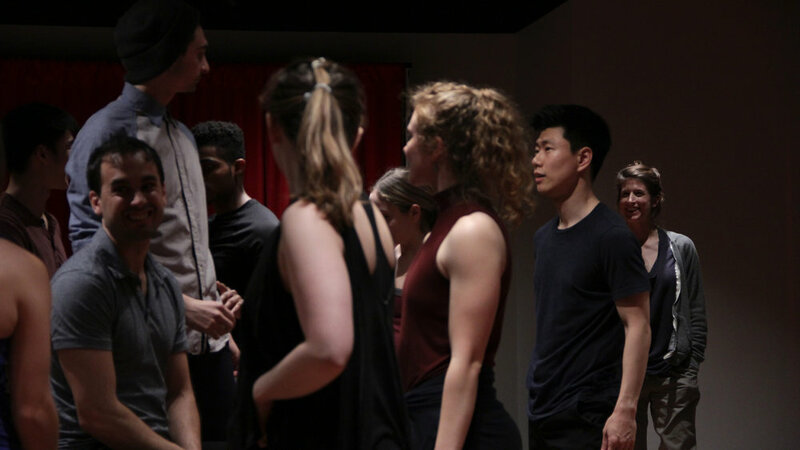 Douglas' writing for the stage was recently seen at Penn State as part of their Nu Musical Theatre Summer Festival with a staged reading of his script for DEEP WATER BALLAD. Douglas is also a collaborative member of The Lobbyists who recently performed their concert-play SEAWIFE, at the South Street Seaport in collaboration with Liz Carlson and Naked Angels Theatre Co.
Jennifer Jancuska (Choreographer) Started 2017 as Resident Choreographer of Broadway’s HAMILTON and choreographer of James Presson's newest play, FMK (Less Than Rent Theatre) with director Sash Bischoff. Jennifer will also continue directing and choreographing productions for Sea World/Busch Gardens, producing BC Beat, leading Broadway Connection as co-artistic director, and choreographing ASTIR Labs. Development projects pushing forward with Jennifer as choreographer include the new musical adaptation of ANNE OF GREEN GABLES by Matte O’Brien and Matt Vinson, THE BAD YEARS, an immersive musical by Kait Kerrigan & Brian Lowdermilk and new works by Zack Zadek, Srda Vasiljevic and Elliah Heifetz. Scott Wasserman (Music Supervisor) lives and works in New York City as a composer, orchestrator, music director, and electronic music programmer.Scott holds a BFA in Music Composition from Carnegie Mellon University, having trained under studio teachers Nancy Galbraith and Reza Vali, and orchestration professor Leonardo Balada. Scott was the Undergraduate Prize winner of the 2010 Student Composers’ Competition with AOEDE’S DREAM for orchestra. Scott’s orchestrations & arrangements can be heard on Joel B. New’s album CABOT COVE, published by Broadway Records. He is a proud member of Actors' Equity Association and Local 802 AFM. Scott is originally from East Hampton, CT. Broadway: DEAR EVAN HANSEN, THE GREAT COMET, and HAMILTON as Ableton Programmer; ANNIE (2012 revival); LEAP OF FAITH. Upcoming - ESCAPE TO MARGARITAVILLE - Associate Music Director.